The 1929 airliner coming to (CITY) was the height of flying luxury 85 years ago. 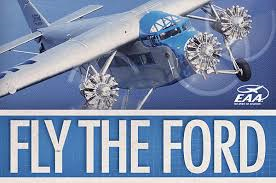 EAA’s 1929 Ford Tri-Motor brings to mind an era of excitement, energy, and a belief that we, as a nation could achieve anything. That golden age of aviation is part of the spirit that promotes innovation and inspires our youth to reach their fullest potential. Henry Ford mobilized millions of Americans and created a new market with his Model T “Tin Lizzie” automobile from 1909 to 1926. After World War I, he recognized the potential for mass air transportation. Ford’s Tri-Motor aircraft, nicknamed “The Tin Goose,” was designed to build another new market, airline travel. To overcome concerns of engine reliability, Ford specified three engines and added features for passenger comfort, such as an enclosed cabin. The first three Tri-Motors built seated the pilot in an open cockpit, as many pilots doubted a plane could be flown without direct “feel of the wind.” From 1926 through 1933, Ford Motor Company built 199 Tri-Motors. 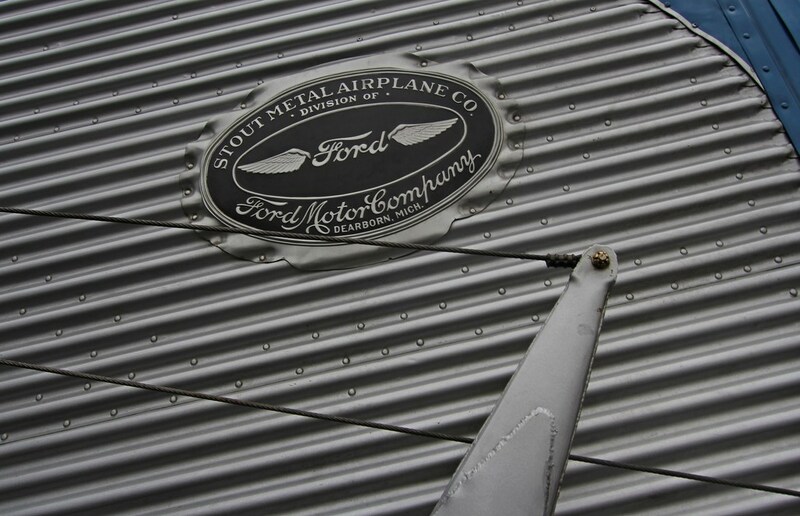 EAA’s model 4-AT-E was the 146th off Ford’s innovative assembly line and first flew on August 21, 1929. 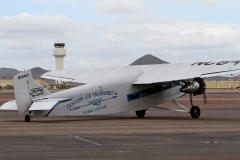 It was sold to Pitcairn Aviation’s passenger division, Eastern Air Transport, whose paint scheme is replicated on EAA’s Tri-Motor. 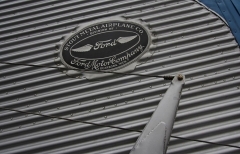 This is why EAA’s Ford resides in the Pitcairn Hangar at Pioneer Airport in Oshkosh, Wisconsin, when not touring the U.S. Eastern Air Transport later became Eastern Airlines. In 1930, the Tri-Motor (NC8407) was leased to Cubana Airlines, where it inaugurated air service between Havana and Santiago de Cuba. The airplane was later flown by the government of the Dominican Republic. 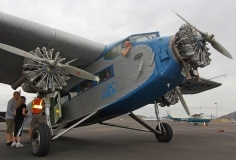 EAA’s Ford Tri-Motor returned to the U.S. in 1949 for barnstorming use. 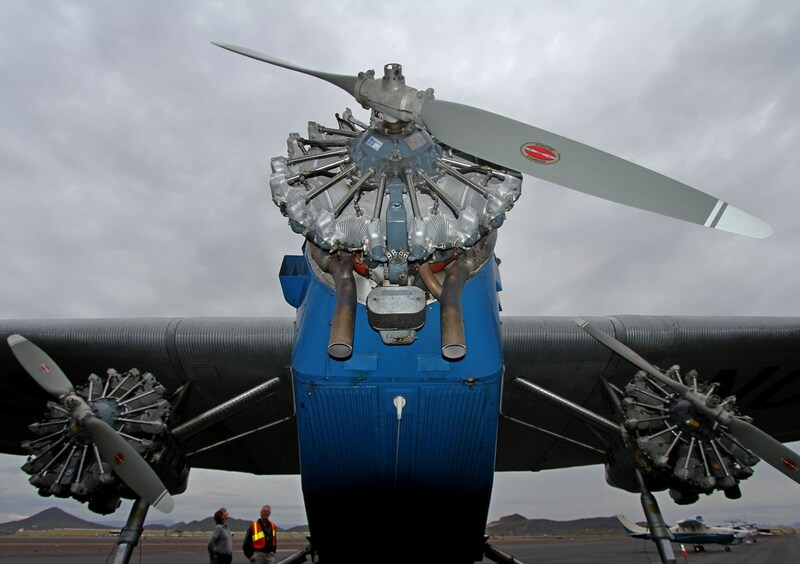 In 1950, it was moved from Miami to Phoenix and was refitted with more powerful engines for use as a crop duster. 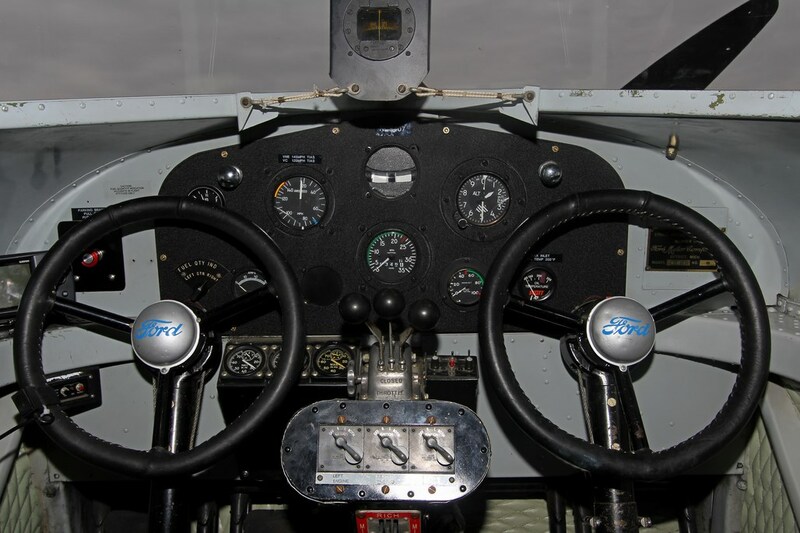 With two 450 HP engines and one 550 HP engine, it became the most powerful Model 4-AT ever flown. In 1955, it was moved to Idaho and fitted with two 275-gallon tanks and bomb doors for use as a borate bomber in aerial firefighting. Then in 1958, it was further modified for use by smoke jumpers. 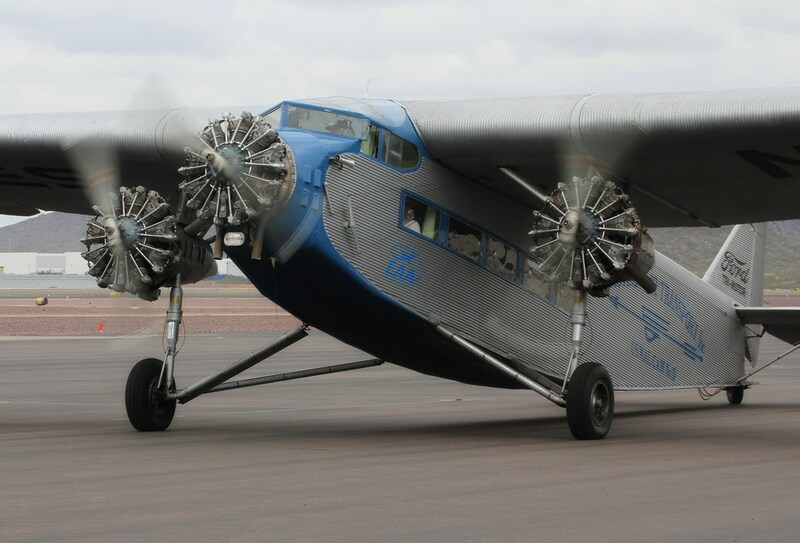 After working for a variety of crop spraying businesses, EAA’s Tri-Motor moved to Lawrence, Kansas, in 1964, where its new owner flew barnstorming tours. During this period it had a variety of roles, including serving as the primary setting for the Jerry Lewis comedy, The Family Jewels. In 1973, the aircraft was still being used for air show rides, including an EAA chapter’s fly-in at Burlington, Wisconsin. While at the 1973 fly-in, a severe thunderstorm ripped the plane from its tie-downs, lifted it 50 feet into the air, and smashed it to the ground on its back. EAA subsequently purchased the wreckage. 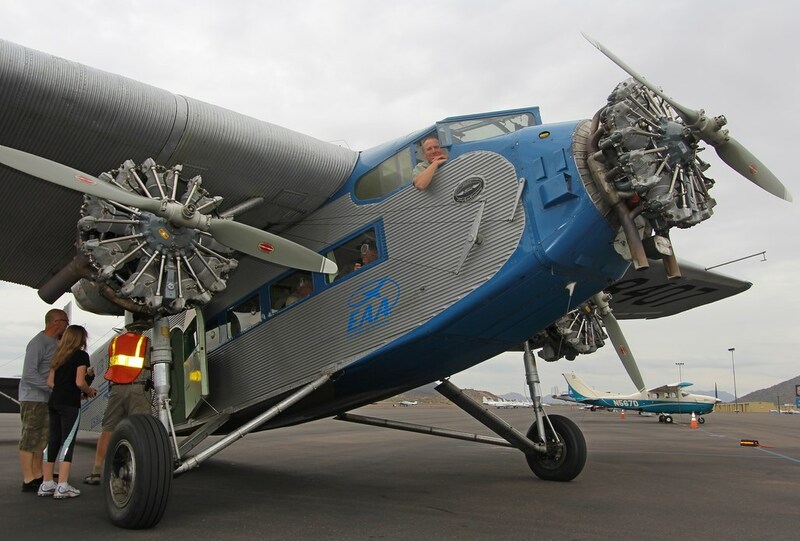 After an arduous, 12-year restoration process by EAA staff, volunteers, and Ford Tri-Motor operators nationwide, the old Tri-Motor took to the air once again, where it had its official re-debut at the 1985 EAA Fly-In Convention in Oshkosh. 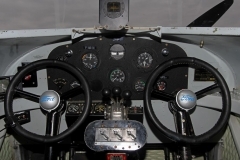 It was displayed in the EAA AirVenture Museum until 1991 when it returned to its former role of delighting passengers on its annual tour across the U.S. 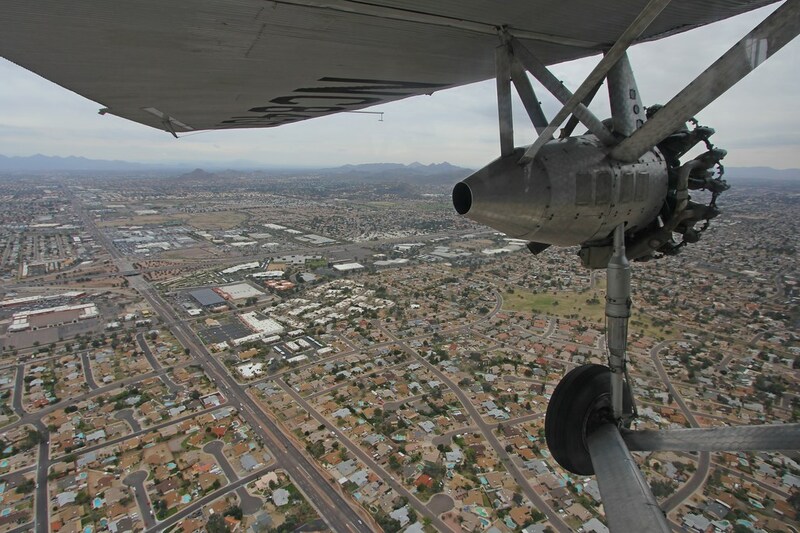 Here is your rare opportunity to fly in an authentic Ford Tri-Motor, America’s first mass produced airliner. Each flight experience is approximately 30 minutes, of which about 15 minutes will be in the air. 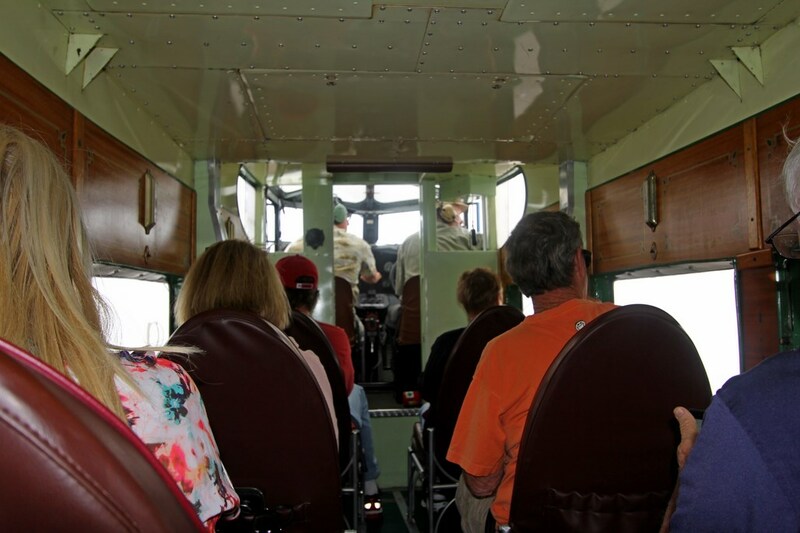 You will remain seated while the Ford Tri-Motor is airborne; however, each seat is located next to a window. Additional Information: What is the cost of a flight? 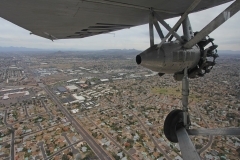 Ford Tri-Motor flights are $70 per adult in advance (walk-up price is $75), $50 per child 17 and under. How many people does the Tri-Motor carry? 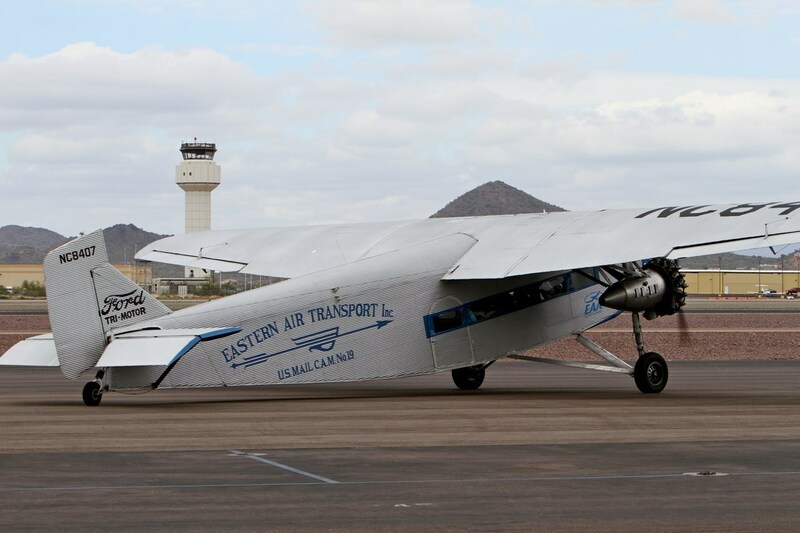 EAA’s Ford Tri-Motor 4-AT can carry up to 9 passengers at a time and the Liberty Museum’s Ford Tri-Motor 5-AT can carry up to ten. Every seat on both planes are window seats. It is possible to reserve an entire flight on both planes. Can I bring a camera? Yes, you are encouraged to bring cameras and camcorders on board. Are there any special considerations for children? An adult must accompany children under the age of 16. Children under the age of 2 can be carried free of charge in an adult's lap. How accessible is the airplane? Access to the airplane is easy and not normally a problem for elderly or mobility-limited people. Two normal-sized steps are used to enter the cabin. Seats are individual (no double seats) and separated by an aisle. Seatbelt extensions are available. Is a waiver of liability required? Yes, you can view the waivers here: Adult | Minor Parents are required to sign a waiver for each minor under the age of 18 What if I have other questions? If you have further questions, please e-mail flytheford@eaa.org or call us toll-free at (877)-952-5395. Some Upcoming dates: Feb 26-March 1 Naples, FL Naples Municipal Airport, APF Field Location: Commercial Terminal, 500 Terminal Drive, Naples FL 34104 Aircraft: Liberty Ford 5-AT-B Host: EAA Chapter 1067 Online booking is now closed. Plenty of walk-up space available! Call onsite crew at 920-379-8339 for more information. Feb 26-March 1 San Diego, CA Gillespie Field Airport, SEE Field Location: Airport Administration Building, 1960 Joe Crosson Drive, El Cajon, California 92020-1236 Aircraft: EAA Ford 4-AT-E Host: EAA Chapter 14 Online booking is now closed. Plenty of walk-up space available! 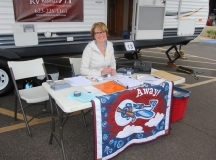 Call onsite crew at 920-379-8348 for more information.